Spring weather in Texas is generally mild, making for excellent sightseeing weather. To further the appeal of taking a spring sightseeing tour is a pair of other elements: blooming flowers and historic steam engines. When you combine the three, you have the makings of a truly unique spring afternoon. In fact, the Texas State Railroad in the Piney Woods is officially part of the Dogwood Trails Celebration. Running between Palestine and Rusk, the Texas State Railroad uses steam engines to run the rails just as they have since 1896. However, instead of moving timber and other cargo, these days the Texas State Railroad takes passengers on a scenic trip through the Piney Woods of East Texas. Austin is one of the most popular spots for tourists visiting Texas in the spring. One of the best ways to see the Capitol City and the surrounding Hill Country is via the Austin Steam Train. Of course, wildflowers are in bloom across the Hill Country during March and there is no better way to view them than out the windows of the 1916 Southern Pacific steam engine used by the Austin Steam Train organization during their tours. The Hill Country Flyer tour, which includes a lunch layover in Burnet, is one of the more popular among those wishing to see the countryside covered with Bluebonnets and other wildflowers. Whichever route you choose, there is little doubt you'll enjoy this little step back in time as you roll across the railways. Other tour options include the Grapevine Vintage Railroad, which offers a wine tour and tasting experience without even leaving the Dallas-Fort Worth metroplex. You'll visit some of the area's finest wineries by train, all set to a track of relaxing jazz music. 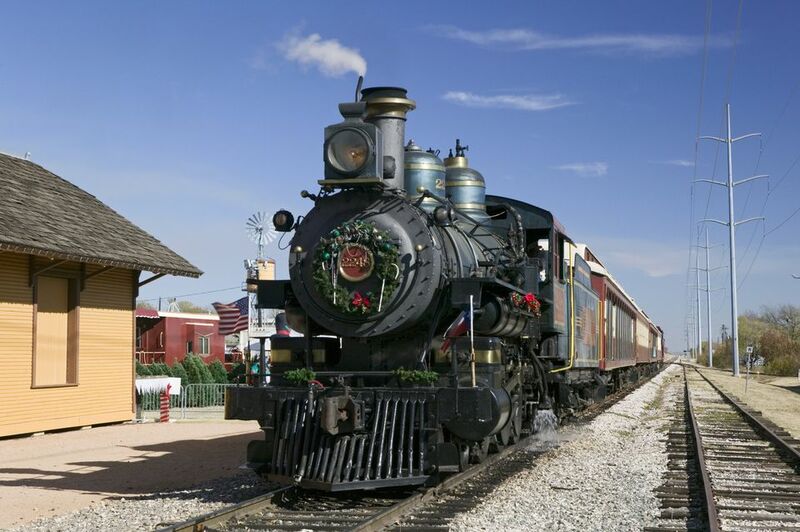 If wine isn't your thing, the Grapevine Vintage Railroad also heads to the historic Fort Worth Stockyards, near downtown, where kids and adults alike can step back in time—immersing themselves in Fort Worth during its cattle baron days. In the Eastern half of the state, you can tour the Cypress Bayou on an old-fashion locomotive. In addition to offering prime viewing opportunities for nature and wildlife, you'll see ruins of 18th-century historic buildings and learn about the history of the region's railways. This kid-friendly trip is a great way to spend the afternoon.